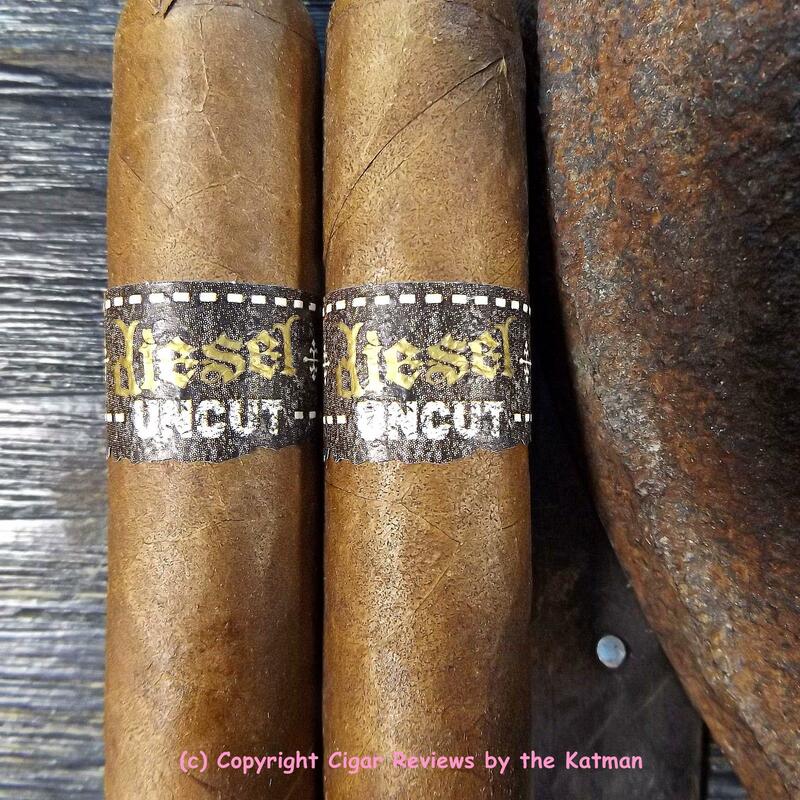 Today we take a look at the new Diesel Uncut. 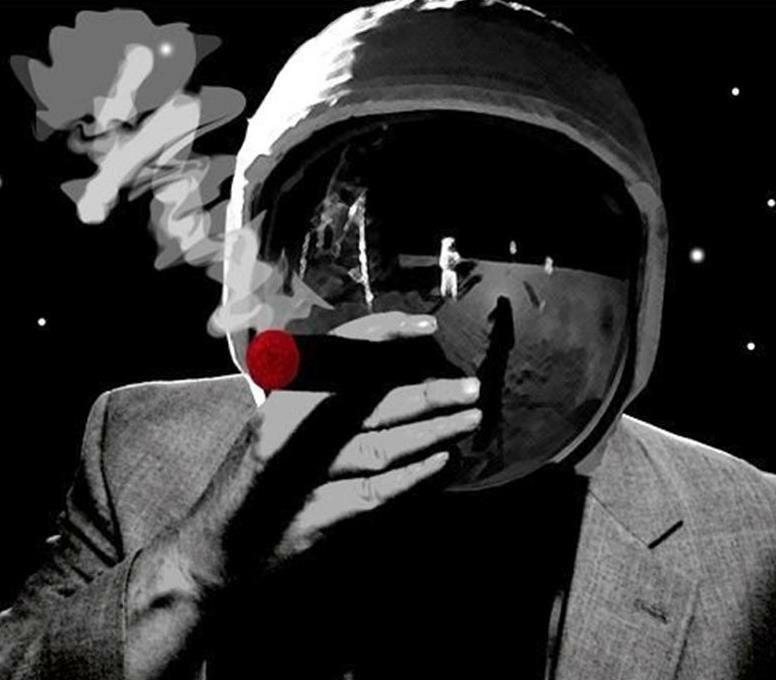 The cigar is only sold by the CI Conglomerate. And as usual, they pulled a fast one on the public. 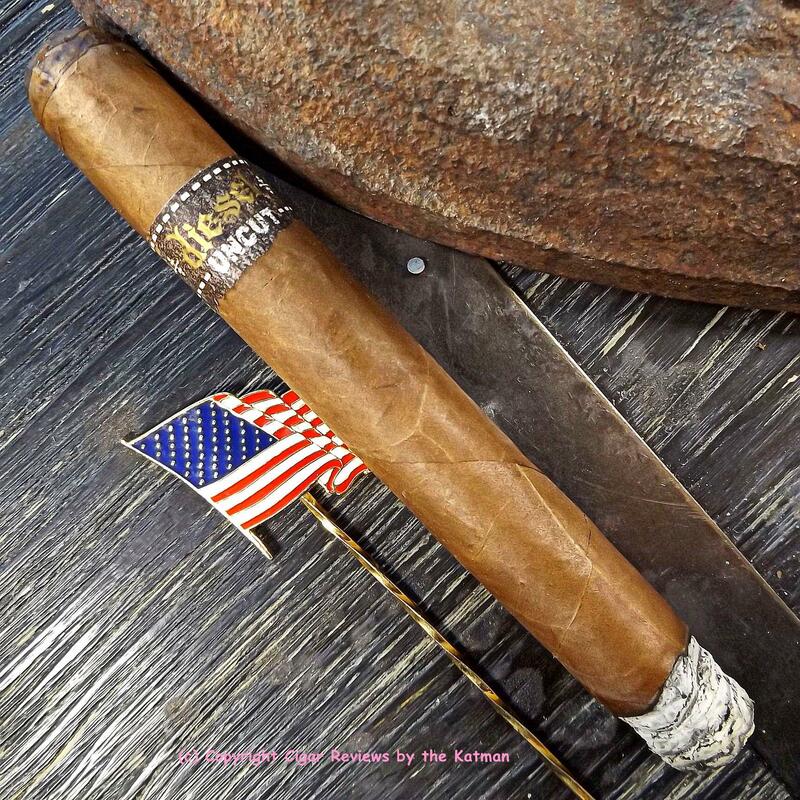 The cigar came out with a $7 price range for a mazo of 10 cigars. Then once the daily special ended and they milked the hell out of the “newness” of the product, the price dropped by almost half. Now that same mazo of 10 goes for $40 instead of $70. I got mine on Cbid on that Free Fall thing. I paid $29.08 for the 10 cigars. So I don’t feel taken advantage of. But it is something the CI Conglomerate loves to do. Start with a high price and then it hits the floor. I’m sure everyone that paid $7 a pop is feeling ripped off. 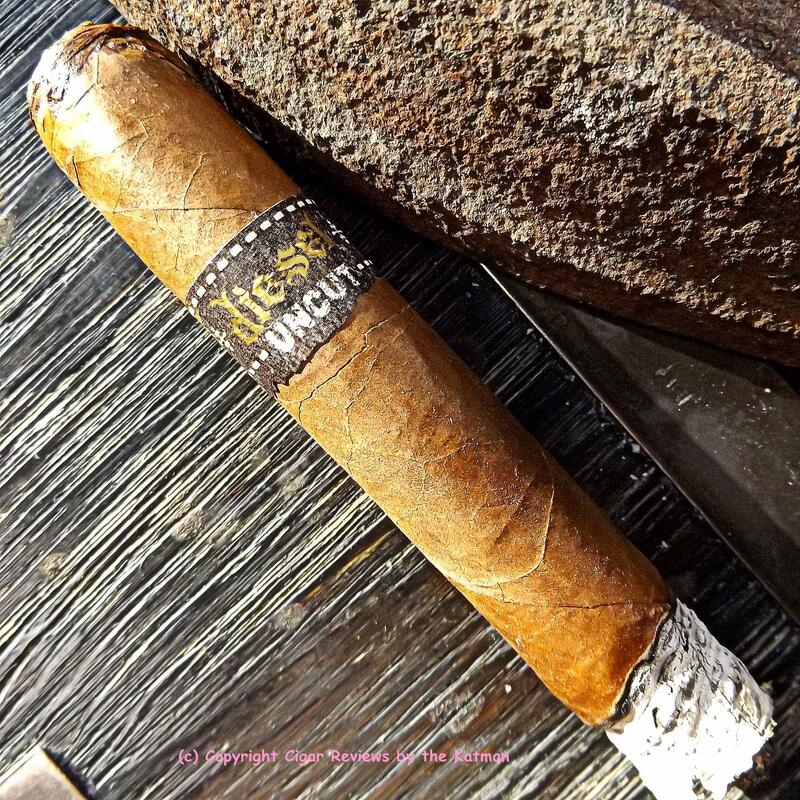 The Diesel Uncut is not a bad looking cigar. Tight seams. Not as many veins as expected. Solid and evenly packed. The wrapper is an oily milk chocolate color that feels smooth. 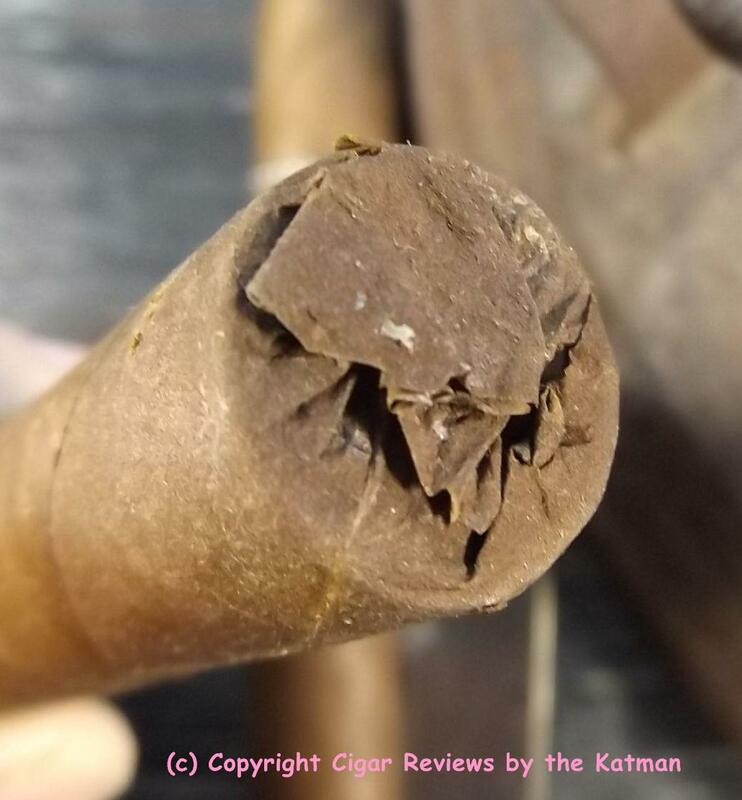 It has a closed foot that one finds unusual in a $4 cigar. I clip the cap and find aromas of hay, barnyard, chocolate, spice, nuts, and leather. The draw is spot on. The first impact is from the spicy pepper. Pretty much what you expect from a Diesel. Then a chocolate element followed by sweetness. Creaminess jumps in too. 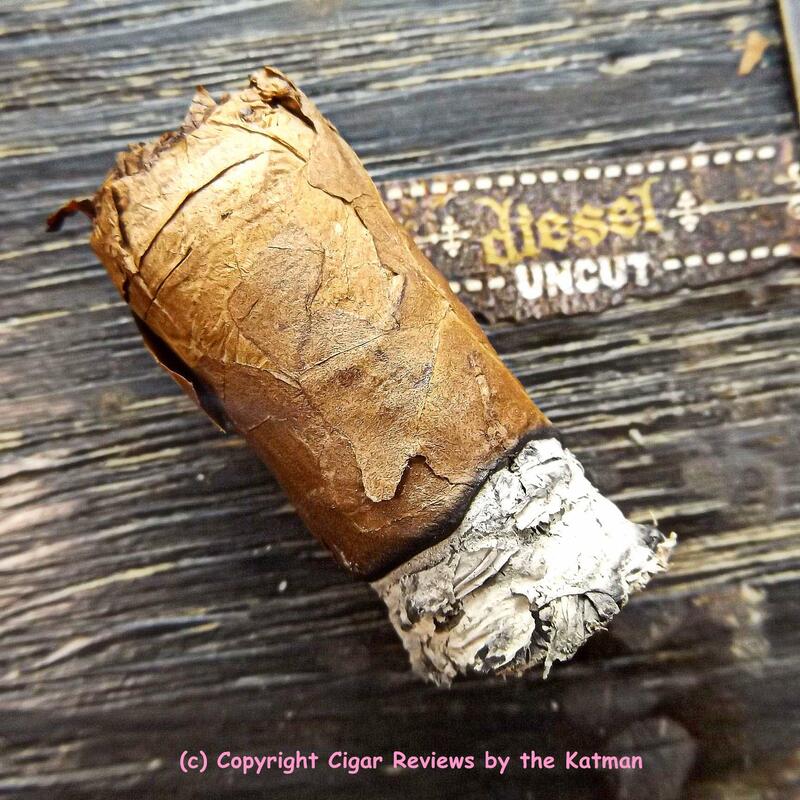 I read that the Diesel Uncut is the cigar that the rollers build and smoke in the factory. I don’t know if that means it’s what they sweep up at the end of the day from the floor; or its bits and pieces leftover from other Diesel cigars. But this is a long filler stick; not a Cuban sandwich style so I believe my latter conclusion is more accurate. There is a dichotomy in that process. You are getting leftovers that only the rollers are allowed to smoke so as not to dig into profits. Or you’re getting what the experienced rollers deem the best cigar they can make. I guess we shall see as this is my first Diesel Uncut since I got them nearly a month ago. 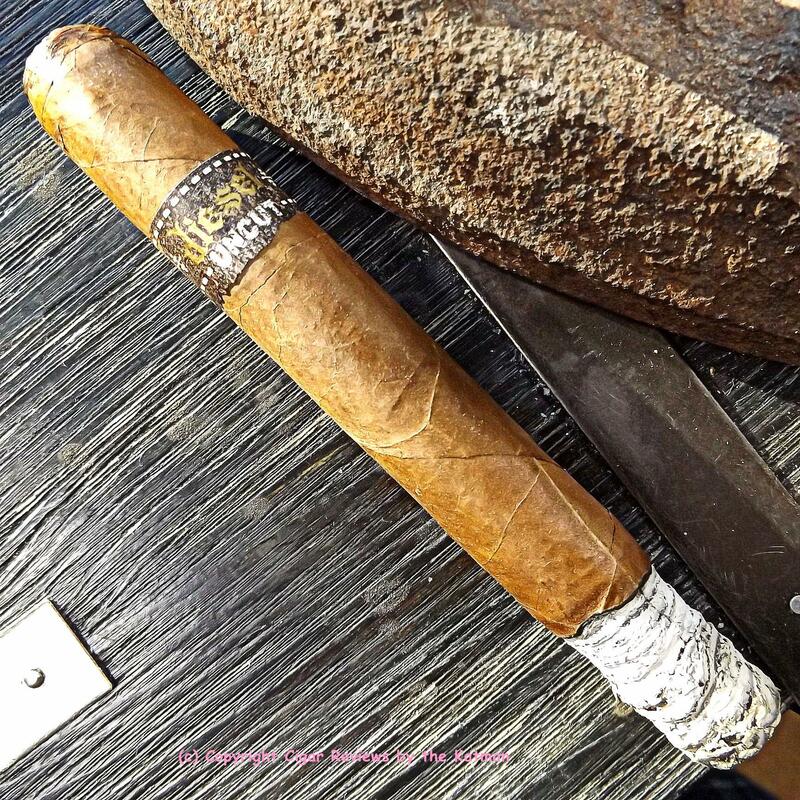 The cigar is very flavorful from the start. I have barely hit the half inch mark and it is impressive for such a cheap cigar. Here they are: Chocolate, creaminess, spice, nuttiness, cedar, sweetness, wood, and leather. There is a bit of olive oil in there. 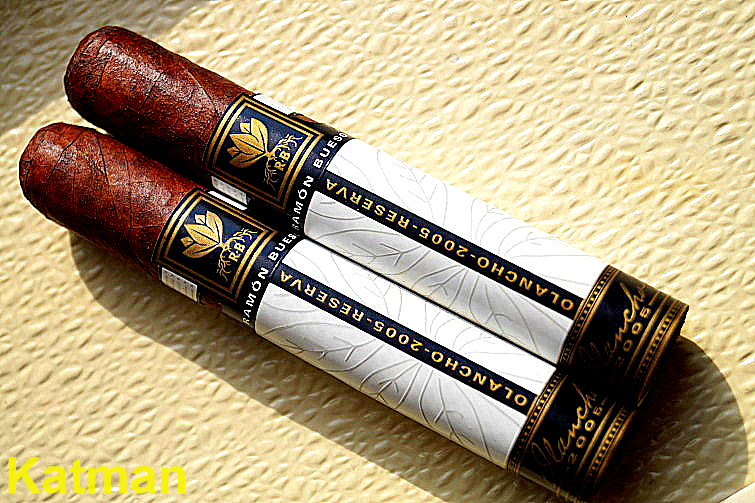 When I bid on these cigars, the only other size: The Robusto was out of stock. And though I don’t care for log jammers like this baby, I thought what the hell. Great minds think alike. While the robusto was out of stock, the giant Toro was not. I think the Gordos (6 x 60) are a waste of time and this trend to make them bigger and bigger is ridiculous. 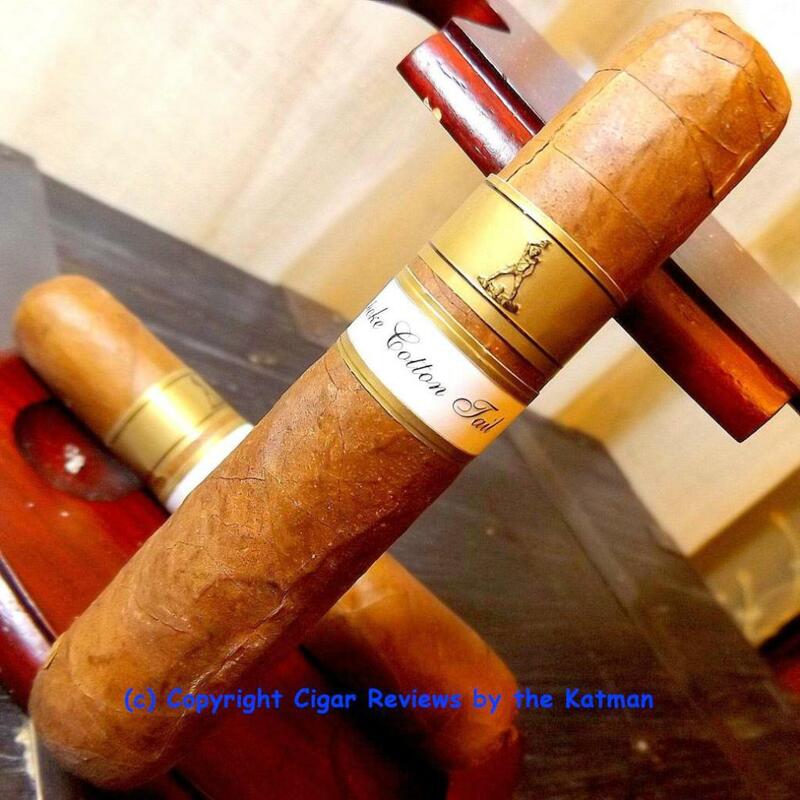 LFD has me on their reviewer’s list and I have a 5 pack of 707’s resting in my humidor. That’s right. 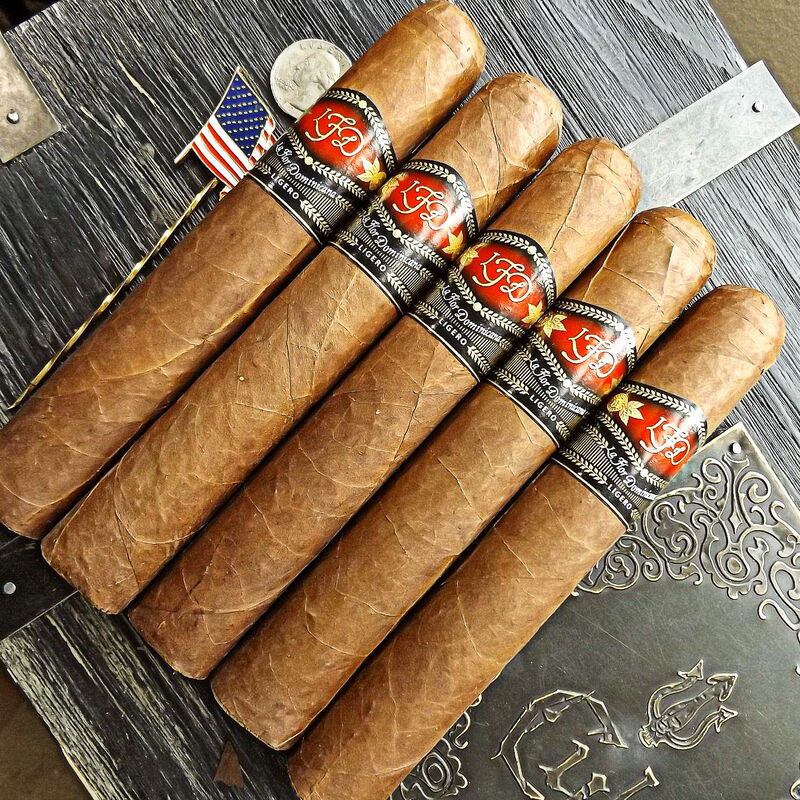 An LFD Ligero 7 x 70 cigar. I figure it will be ready in about 3 years. 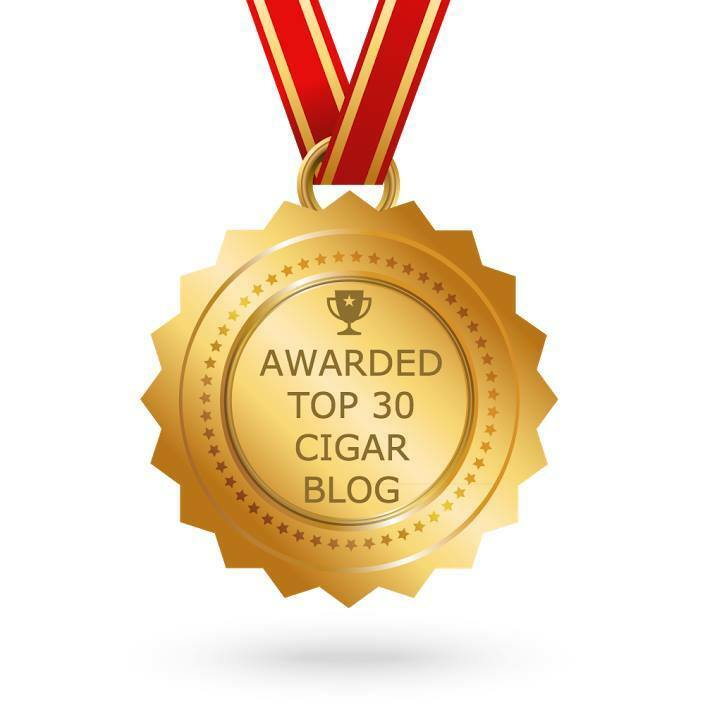 Although, I read the announcement of the cigar in Halfwheel.com in April of 2014 and he reviewed it two months later; in June. So two months may be all it takes. But I highly doubt it. The cigars I’ve bought lately are all in the robusto or corona size. Can’t beat them for intensity of flavor. The spiciness goes back and forth between red and black pepper. 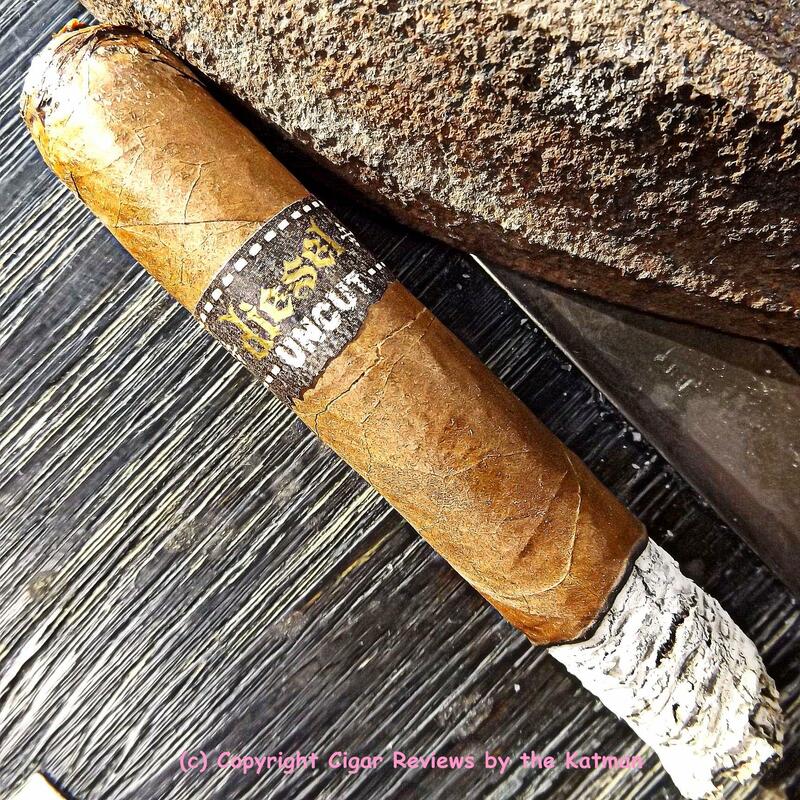 The Diesel Uncut has turned out to be a very tasty blend. Total surprise. I expected to be writing a bum review. The construction is excellent so far. I have to assume that this is another Diesel made by AJ Fernandez. And due to its fine construction and jam packed condition, this will be close to a 2 hour cigar. I’m going to the post office today to mail off the cigar holders. Finally. My bad. And while I’m there, Charlotte instructed me to get a passport application. Homeland Security is taking 3 months or more to process its end. And my gut tells me that Rick T. and I will be touring Asia this summer to promote his CD that has just skyrocketed over there. His FB page has something like 28,000 Likes in just the past couple of months. I wonder if you can bring cigars over there. And what about internet access? Most of the action is coming from China. Go figure. Very pleasant with lots of flavor but not a masterpiece. 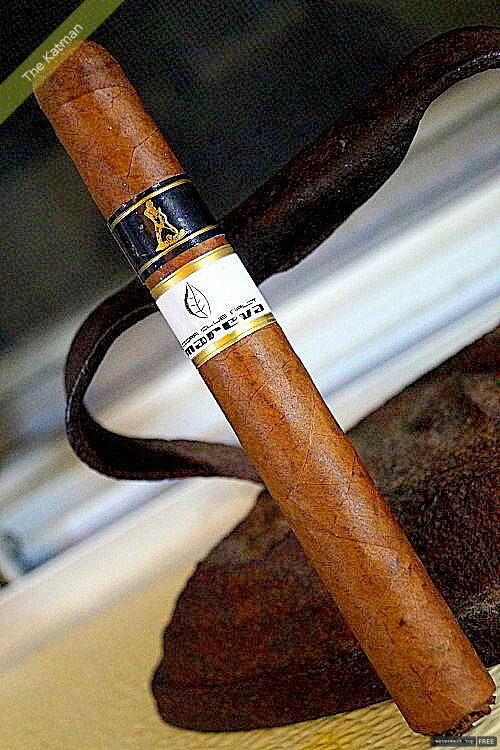 At retail of $4 a piece, it is a great knock around cigar. 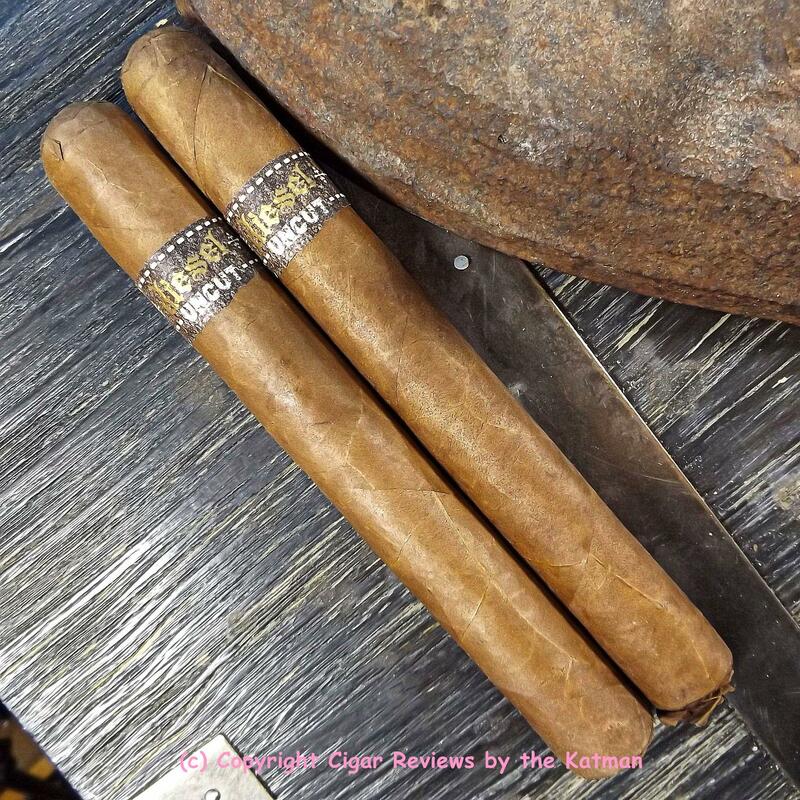 It is better than most in this price category and will find a place in my list of excellent cigars in the $5-$6 price range. While I am an unabashed AJ fan, I’m not so much a fan of the Diesel line. 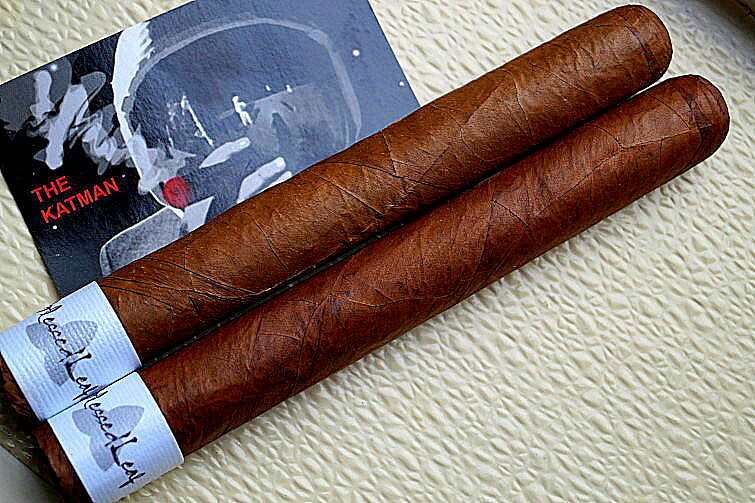 For me, the cigar blends are all pedestrian. All inexpensive blends that are the little choo choo that could. I’ve been asked about the rusty iron I use in a lot of my photos. In the 1990’s, we lived in Mesa, Arizona. One day, we took a road trip to Bisbee. A real tourist attraction because of its western cowboy days heritage. I went into an antique store and saw this iron and had to have it. It was explained to me that it is circa 1860-1870. I thought that was pretty cool to know that some family used this thing more than 150 years ago. The ash lasted a good 1-3/4”. No char line issues. The wrapper is hanging tough and no changes to the flavor profile. I predict that the last third will wow me. Right now, it is just on cruise control. Michael Phillips sent me a sample of a review he did. 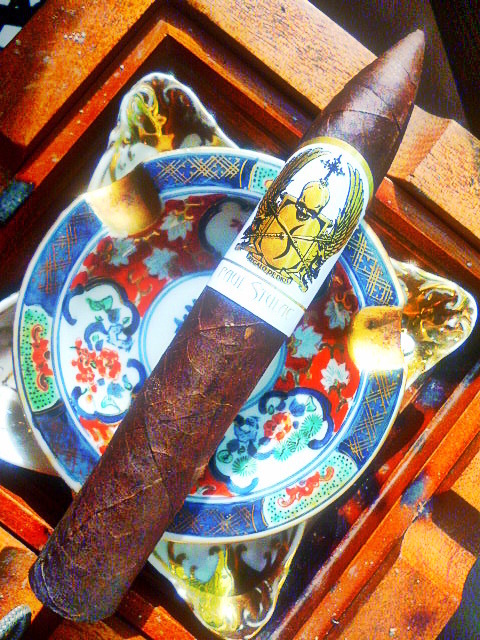 It was very good but I had already reviewed the cigar and two reviews of the same cigar will confuse Google. I urged him to write another one in which I haven’t reviewed yet. In fact, I urge all my readers to submit a review with photos and I will publish it. Just make sure I haven’t already reviewed it. The cigar continues on its somewhat mediocre path. The flavor profile has flattened out. And there is zero complexity. Not much balance. And a short finish. Too bad. I reach the halfway point. The most prominent flavors are cream, chocolate, coffee, caramel, toasty, nuts, and cedar. The spiciness I had hoped would last the entire smoke has moved into the background. A month of humidor time may not be enough rest. Or this is all she’s got. No idea which. I get the feeling it was a toss-up between giving this cigar its own name or just making it a Diesel second. Could have gone either way and CI gambled with its PR machine. I’ve invested a full hour to this point. Cracks begin to form in different locations. It’s pretty cold in this room because the window is open but it makes more sense that it is the construction of the Diesel Uncut. The strength continues to be medium/full. The cracks near the cap become horrendous. And I haven’t even clipped the cap yet. My fingers are crossed that something happens. 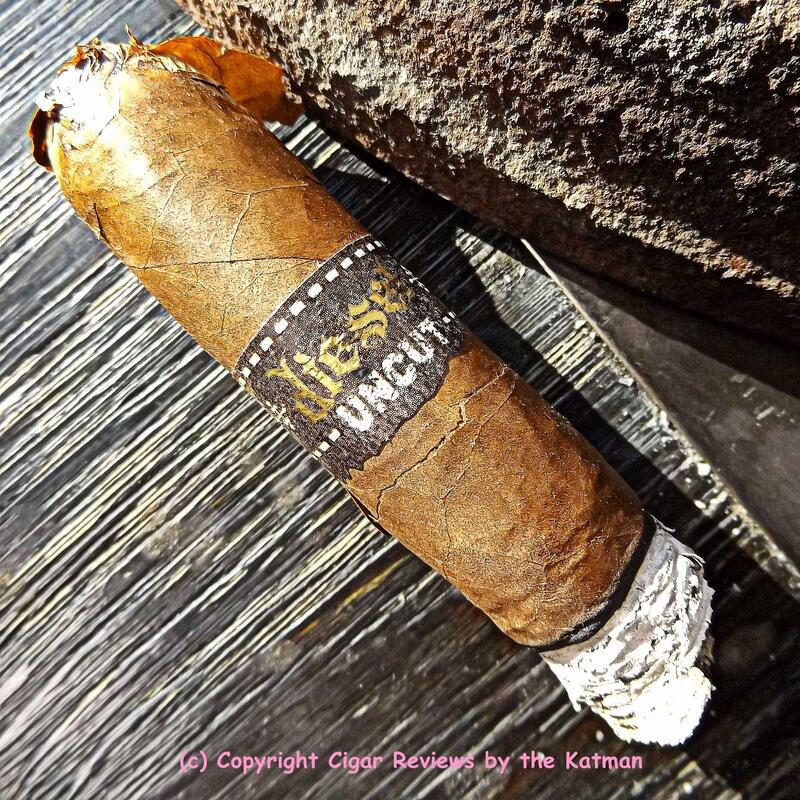 The Diesel Uncut is pretty flavorless. I only paid $2.90 per stick on Cbid for a 10 pack. But now I am beginning to regret even that. A few minutes pass and my prediction is realized. Flavors begin to blossom. But now the crack below the cigar band travels. I may not be able to finish this cigar. I remove the cigar band and the whole wrapper comes apart. I do a major glue job but the cigar looks like someone stepped on it. I try several photos but can’t seem to get the cigar in perfect focus. Sorry about that. Normally, I’d just toss it. But I want to see if the last third redeems the flavor profile. More cracks form. This is a lost cause. 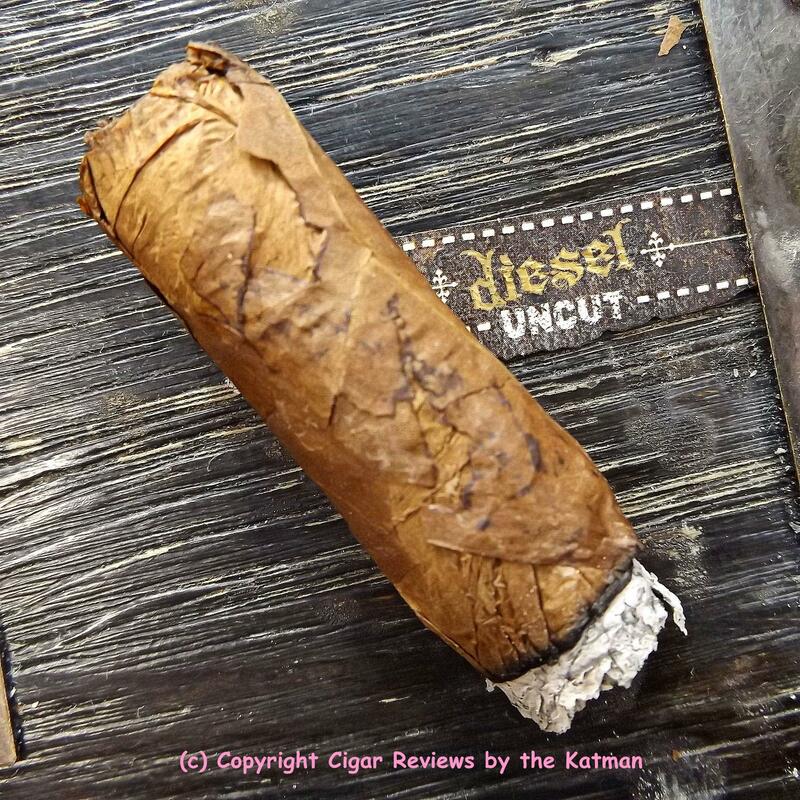 The first half of the Diesel Uncut showed promise as far as construction goes. But it can’t keep up. 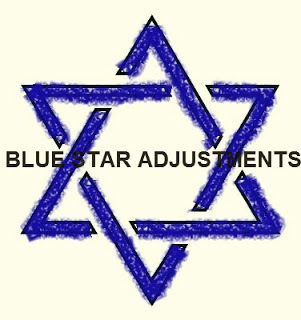 Flavors are enhanced now but some harshness comes along with it. I’m such a big fan of AJ and all I can say is Shame Shame. No wonder the price dropped from $7 to $4. 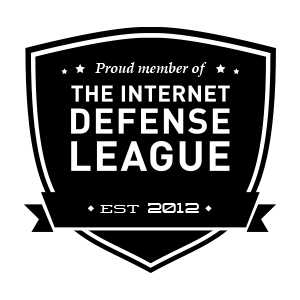 Well dear readers, it seems that the Diesel Uncut is a big time loser. My first string instrument was a ukulele. After that was the 5 string banjo at the height of the folk era. Soon after, I switched to bass guitar. My dad played golf religiously. His foursome paid me a dollar each to get them the starting time on Saturday mornings each week. On Sunday night, I would park at El Dorado Golf Course in Long Beach. They numbered the parking spaces. And there you sat. I would get there at around 2am. And still be 3r4 or 4th in line. I would sack out in the back seat til 6am when the window opened. Then we would all get in line according to our parking space numbers. And I got my dad’s foursome an 8am starting time. This was 1965. I had my driving license learner’s permit. But the golf course was 69 seconds away. And my dad trusted me not to smash his company car. I would return home and go to bed for an hour. The rest of the school day, I was out of it. Could barely keep my eyes open. I did this for 6 months. I was doing this to save up for my first bass. I took my $80+ to downtown Long Beach to a pawn shop that had cool instruments. 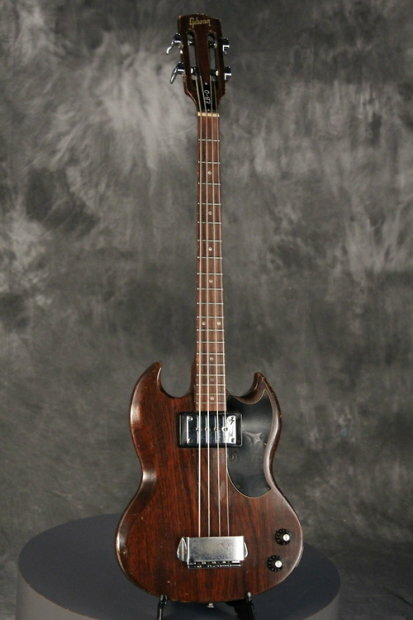 I plunked my money down and bought a used Hofner Beatle bass. After that, I told my dad and his friends to go fish. I was done with that slavery work. I couldn’t afford an amp. Thankfully, the Hofner is a hollow body bass. So I could still plunk away with it and hear it in a quiet room. I often stuck the head of the bass against the wall creating an amp. After 6 months of that, my dad saw I was serious and took me to a guitar shop and bought me my first amp. It was a no name brand and was terrible. I complained all the time to my old man. The friggin amp would just go out on me in the middle of playing and I would have to kick it to start it up again. This time, we went to the big music store in Lakewood. Wallach’s Music City. And I got my first good amp: Fender Bassman. My band went crazy over that. The sound of my Hofner exploded. I have only one photo of me and the Hofner and it is on this blog on the right side of the page. I was in a musical at the Long Beach Community Theater. The play was “Take Her, She’s Mine.” I got to play two songs on bass and the finale with my banjo. 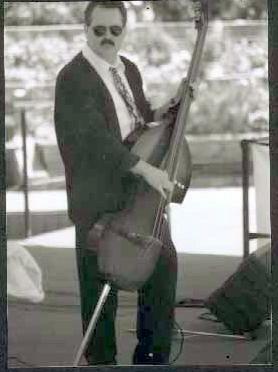 I knew then that I was destined to make a living playing music. While my music compadres had serious ideas of how their life would work out, none of them took music seriously as I did. I used the Hofner until 1971 and then I bought a Gibson EBO bass. The same one that Jack Bruce of Cream used. What a gorgeous sounding bass with that big humbucker pickup. I took it to England with me and recorded the “Live” album with it. The band talked me into getting a long scale bass. 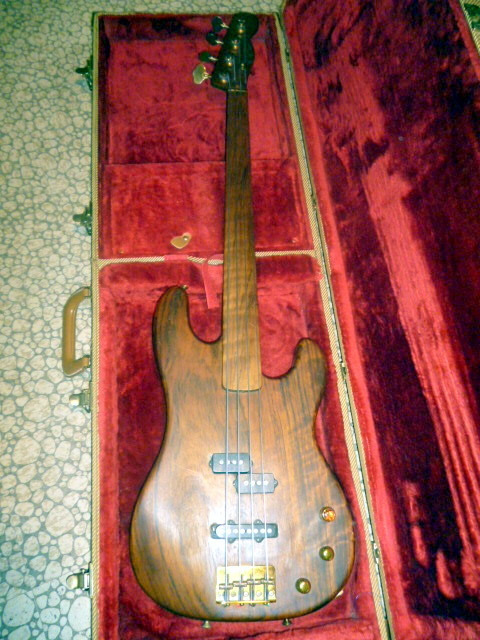 So I bought a 1968 Fender Precision from Martin Turner of Wishbone Ash. They were also managed by our manager, Miles Copeland. In fact, Wishbone was his first band. I had a lot of trouble with the P bass. It was like playing a 2 x 4 with that huge neck. My Gibson was a short scale neck perfect for my small hands. So that was a really stupid idea as I couldn’t fly like I did on the Gibson. I sold the Gibson while I was living in England. Another stupid thing to do. I tricked the electronics out on that baby. In 2003, I sold the P bass in order to buy my daughter her first car. I didn’t use it much as I mainly played my 1980 Schecter fretless. Or my Dobro electric upright.